A Rococo Home is designed specifically to minimize maintenance requirements. We use metal cladding for a home’s exterior trim instead of wood, which would require repainting. We offer treated deck boards, Trex decking and Dura Deck, with aluminum railings and matching spindles or glass inserts. Create a living space tailored to your tastes and your family’s lifestyle. 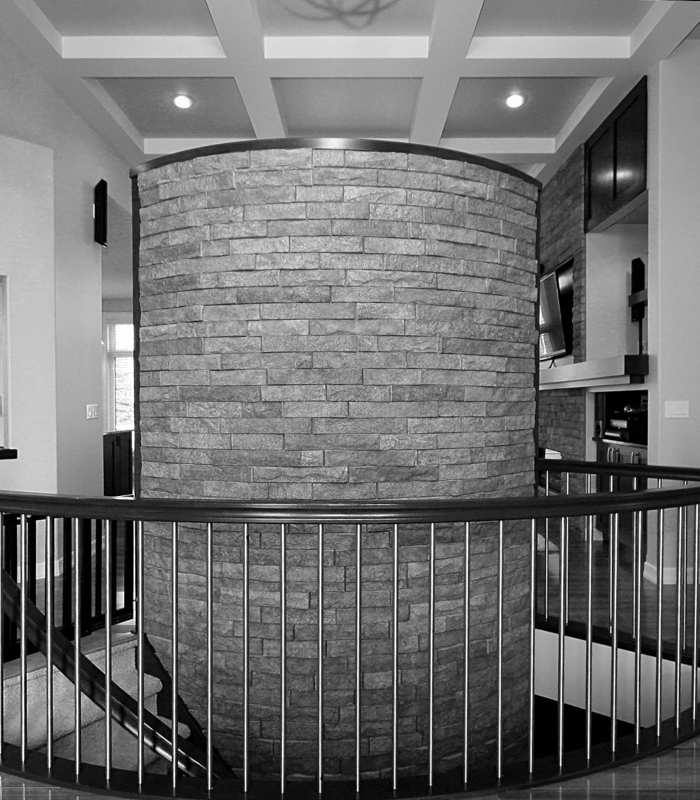 As a custom home builder we “build your dreams with our experience”. We have designed homes from magazine clippings & sketches on napkins. No detail is too small, no request is too big. When you are building dreams, every decision and every unique touch is important. We understand that you are building your dream home and that you may change your mind on the layout or your selection of products. Of course this depends on the stage of completion of your home, but generally we can accommodate all change requests, and Rococo does not charge a fee to make changes during the build. You pay what we pay! And you will be impressed at the pricing that you receive with our builder and trade discounts. Generous allowances are built into the purchase price of your home so that you won’t need to upgrade your selections. Our hand selected trades and craftsman take pride in their work and it shows. Rococo Homes has taken the time to build long term, solid relationships with our suppliers and trades, ensuring unmatched quality and customer service. Our trades and suppliers offer their own warranties and guarantees on their workmanship. We may offer a “Guaranteed Sale Program” on your existing home. This may allow you to qualify for two mortgages – allowing you and your family to live in your current home while your Rococo home is being built. You will still be able to sell your home at market value at the most convenient time for you. We also have excellent relationships with expert mortgage brokers who will work hard to secure the best mortgage rates and offer you the best product. We are a small builder and you will work directly with our entire team, from the designer to Rick Lystang, the owner of the company. The entire Rococo team takes great pride in our work and the level of customer service that we deliver to you. Rococo Homes provides full turn-key solutions for acreage properties. This includes building the road into the property, hooking up power and phone lines, installing the septic system and digging a well for water. We can also provide full landscaping of your property. President, Rick Lystang, holds a Master Home Builder Certificate from the Professional Home Builders Institute of Alberta. Our team has over 80 years of combined home building expertise, including a wealth of industry and product knowledge, creative design and a passion for building exceptional homes. At Rococo Homes, customer service is not a department; it is a philosophy, a commitment and something in which we take personal and professional pride in.